In Israel, the reelection of President Obama raised immediate questions about the future of the rocky relationship between him and Israeli Prime Minister Benjamin Netanyahu — specifically whether in a second term Obama might be firmer with Israel on a possible military strike against Iran’s nuclear program and on promoting peace efforts with the Palestinians. But leaders of opposition parties challenging Netanyahu in Israeli elections set for January had darker predictions. 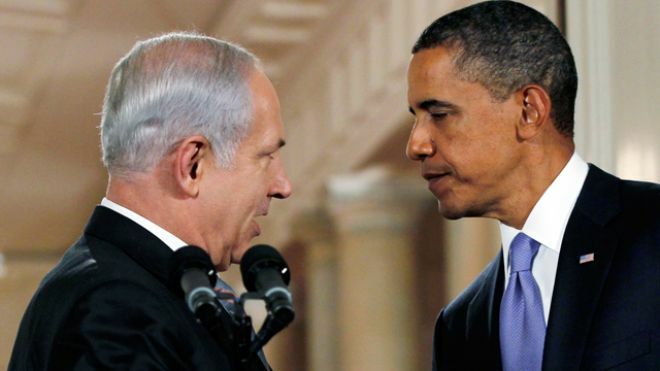 They warned of payback for Netanyahu’s berating of the Obama administration’s policies toward Iran and negotiations with the Palestinians, and for what they described as his preference for Republican challenger Mitt Romney in the American presidential race. Palestinian officials, disappointed with what they view as the Obama’s administration’s withdrawal from peace efforts, urged him to make those efforts a priority. “I hope it will be at the top of his agenda because no issue is more important to peace and security in the Middle East than the two-state solution,” said Saeb Erekat, the chief Palestinian negotiator.